GPS supporters are trying to slow what appears to be a runaway LightSquared express bearing down on the civil L1 signal frequency and thwart the would-be 4G/LTE broadband cellular wholesaler’s effort shift the burden of proof and associated costs for mitigating interference onto the GNSS community. Webinar speakers led by Jim Kirkland, vice-president and general counsel for Trimble, and Nick Yaksich, vice-president for global public policy at the Association of Equipment Manufacturers, also refuted LightSquared’s suggestions that the GPS industry had agreed to creation of the Ancillary Terrestrial Component (ATC) concept years ago. A limited number of ATCs were intended to fill in coverage gaps for mobile satellite services operating in the 1525–1559 MHz band immediately below the aeronautical radionavigation band (space-to-earth) at 1559–1610 MHz in which GPS, GLONASS, and other GNSS providers have or plan to transmit signals. 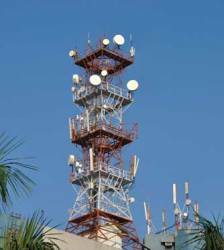 The official allocation for those frequencies under International Telecommunication Union (ITU) and Federal Communication Commission (FCC) guidelines is for space-to-earth broadcasts. In January, however, the FCC’s International Bureau, acting under “delegated authority” and after an abbreviated public notice process, granted an exclusive waiver to LightSquared to build a dense nationwide network — up to 40,000 stations — of high-powered ATC transmitters. The coalition and many GPS manufacturers and users believe that the 1,500-watt power of the LightSquared signal — a billion times stronger than GPS — will saturate the RF front-ends of receivers, causing them to fail. After it granted the ATC waiver and ordered LightSquared to have equipment on the market by June 15, the FCC bureau called for a working group to investigate the potential for interference to GPS — also with a June 15 deadline for reporting test results and its recommendations. That group submitted its second monthly report last Friday (April 15), outlining the categories, receiver types, qualified test facilities, and metrics for evaluating the effects of ATC transmissions on GPS equipment. A link to a downloadable PDF of the report can be found at the bottom of this article. Independent of the FCC-ordered study, the National Space-Based PNT Systems Engineering Forum (NPEF) is conducting its own testing of the potential interference to GPS from LightSquared’s terrestrial network. The NPEF consists of engineers and other experts from across the interagency community that conducts assessments and makes recommendations on technical issues to the National Space-Based Positioining, Navigation, and Timing Executive Commmittee. The NPEF report will include field measurements from LightSquared ATC stations and mobile handsets and an analysis of representative GPS receiver performance. The engineering forum’s formal tasking can be found here. Both groups face a May 30 deadline for completing their tests and providing an analysis of the results. Anticipating that test results may raise serious questions about potential interference, LightSquared and GPS advocates are framing the issue in ways most favorable to their interests. “Some LightSquared advocates are trying to contend that [ATC ] use of the L-band . . . was settled by the FCC back in 2002,” Kirkland said in the webinar. “They claim that GPS providers should have been anticipating today’s current events or designing GPS receivers differently — that it’s somehow the ‘fault’ of the GPS community. Nothing could be further from the truth. If the issue had been settled in 2002, LightSquared wouldn’t have sought this unusual waiver in the first place." Instead, the Coalition presenters argue, the 2002–2003 discussions involved a “limited number” of low-power ground stations: 2,415 stations in the united states transmitting just 26 watts of power toward the horizon. So far, that gamble appears to be paying off. “The FCC has not been slowed down by government agencies’ concerns,” Kirkland said. One of the coalition’s goals is get a hearing from the full five-member commission. In an April 15 “Dear Colleagues” letter, U.S. Senators Pat Roberts, a Kansas Republican, and Ben Nelson, a Democrat from Nebraska, argued that the full FCC "must be involved and require LightSquared to objectively demonstrate non-interference as a condition prior to any operation of its proposed service. Anything less is an unacceptable risk to public safety." Nonetheless, a full hearing appears unlikely at this time. “One of the leading proponents of LightSquared is the FCC chairman [Julius Genachowski],” Kirkland said, noting that the chairman has considerable latitude to set the agenda for the commission. A Harvard Law School classmate and close friend of Barack Obama — playing pick-up basketball and attending each others’ weddings, Genachowski is a former venture capitalist who acted as a financial “bundler” for Obama’s 2008 campaign, reportedly raising a half million dollars while also serving as chairman of the campaign’s technology, media and telecommunications policy task force. 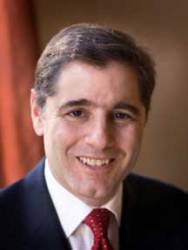 Genachowski’s close ties to the White House has complicated matters for GPS community and federal officials in executive departments that report to the president — particularly given the Obama’s backing, most recently in the State of the Union address, for rollout of wireless broadband services across the country. The coalition wants its members to keep the pressure on Congress, which is returning next week from a recess. “We need to raise awareness of this issue as the June 15 deadline arrives,” Yaksich said. 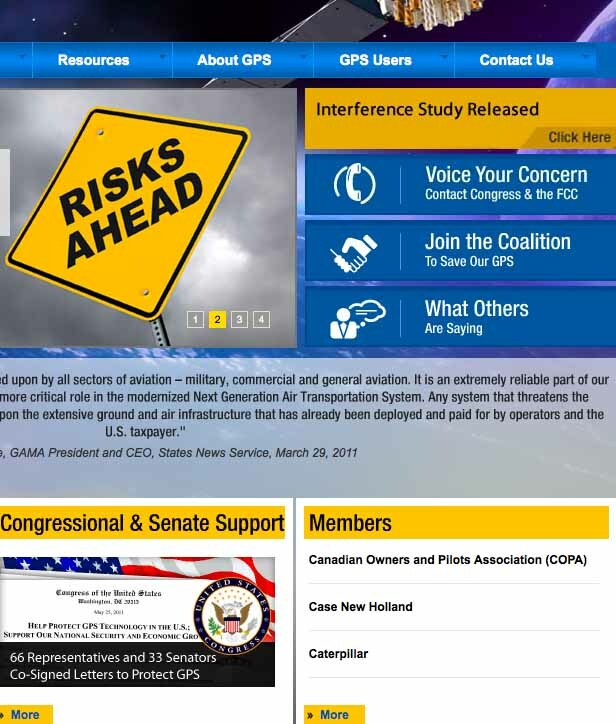 They urged the more than 150 coalition members and 200 viewers taking part in the webinar to send messages to their congressional representatives, governmental agencies with which they deal regarding GPS issues, and the media. · The burden of proof should be on LightSquared to demonstrate non-interference to GPS. · The “new entrant” to the spectrum, LightSquared, must bear the cost of preventing interference. · The FCC should make clear that LightSquared an its investors are proceeding at their own risk in building infrastructure that may not be used or have to be modified if causes interference to GPS. · This is a matter of “critical public national interest” that requires “a reasonable opportunity for public comment” of at least 45 days. To contact representatives in the U.S. House and Senate, visit www.house.gov or www.senate.gov and search by state or zip code. 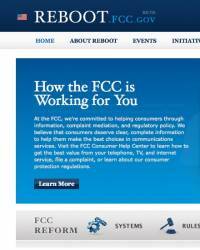 The FCC can be contacted at <fccinfo@fcc.gov>. For more detailed information, including the proposed remedies the Coalition seeks from the FCC, click the “voice your concerns” tab on the Coalition’s homepage.